More on Project: Nesting - Curtain making. Now that I am redecorating to accommodate a little boy, I tried again. 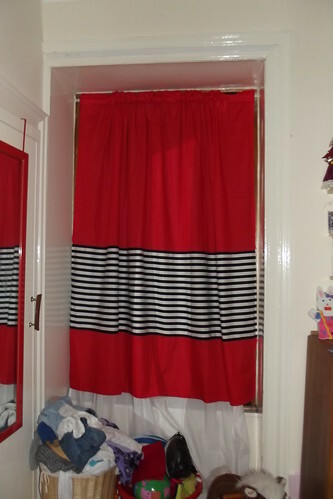 I bought some cheap children's red curtains, and knowing they wouldn't be long enough, I bought the fabric to insert. 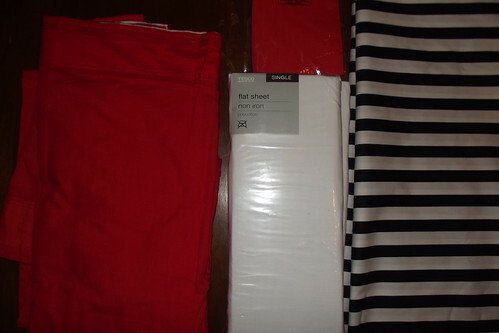 However, when I opened the curtains, I discovered they had no lining, which is no use in a country where the sun comes up at 4am during the summer, so I also bought a couple of twin-size white sheets to attach as lining. 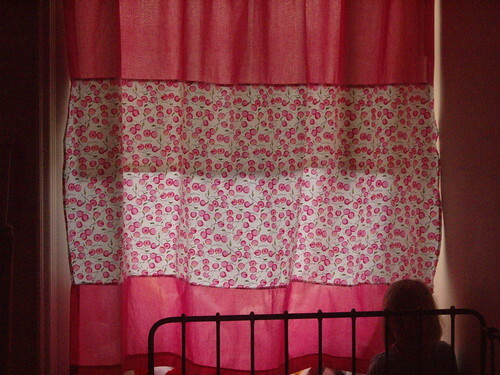 But then, like I said, I discovered there was no lining so I had to buy a sheet for each curtain. Then, when I went to buy the fabric, the length wasn't quite long enough (or not even close) so I had to buy 2 metres instead of just one. But THEN I considered how much MORE I would've spent at IKEA besides the £24.99 curtains (plus petrol) and I figure in the end I probably DID save some money... I can easily spend £50 or £60 effortlessly in IKEA, so still a savings? Very likely. 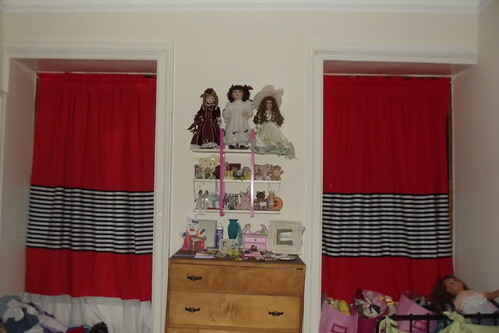 I love your curtains! You are really on a roll right now, nesting and blogging and such. Good for you! And congratulations on having a boy. One of my friends told me, "Boys are for the mama." They are little lovers, that's for sure.